We are big advocates of user centered deisgn. It is a great way of understanding how your customers expect to interact with your product or service and is key to designing a successful website or application. We keep it simple using a four stage process involving both you and your customers thoughout. We will help define who the users are, define the requirements, analyis competition and do some research. 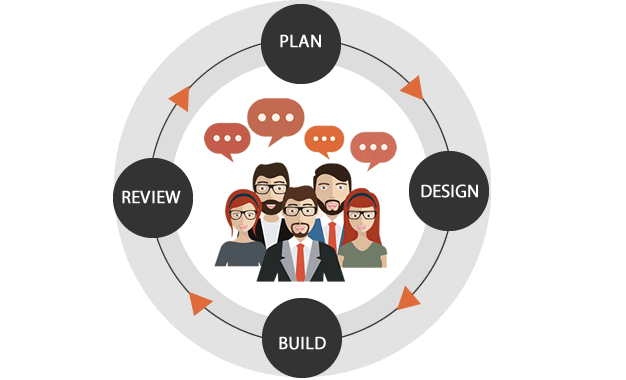 We will help you understand customer journeys and establish agile ways of working with your team. This is where we start to get creative ! We can help build prototypes, wireframes and storyboards, defining any interactions and navigations theme. Then it's time to kick off some focused user testing to get early feedback on progress. The build phase is where we start to turn our ideas and findings into a production ready product or service. Once everyone is happy the build is complete and fully tested, we deploy to the world, ensuring your product or service is available to all ! We encourage all of our customers to promote on-going evaluation of a product or service. 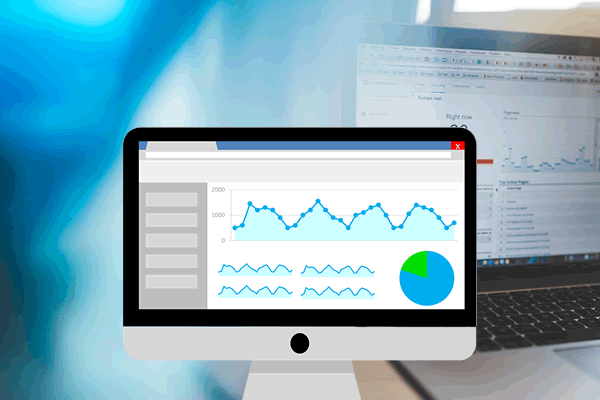 Monitoring analytics, user testing, and customer feeedback are just a few techniques which can help improve quality, suggest new features and help you stay ahead of the competition. 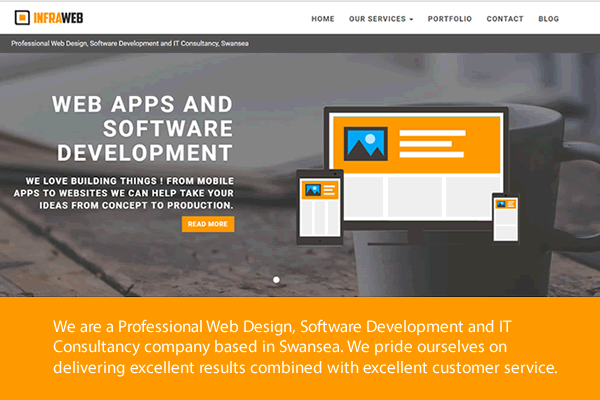 We are a Professional Web Design, Software Development and IT Consultancy company based in Swansea. We pride ourselves on delivering excellent results combined with excellent customer service. 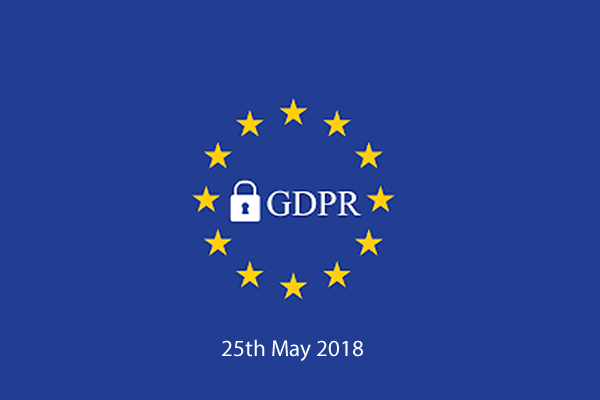 GDPR - What does it mean for businesses in 2018 ? What ! Are you are using a theme ? Exploring the data lake and reporting ?